A classic Southern meal in the old days always included bread. Bread was a great meal stretcher and even the poorest of sharecroppers usually had the ingredients to make it thanks to the staples of 25 pound sack of flour provided by the land owners (look for a quote from my Great Grandmother Lela about this at the bottom of this post). Although I don’t have bread with every supper nowadays, more often than not we do. 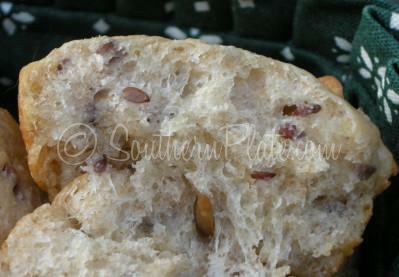 Here are some of my favorite dinnertime bread recipes, some classic and some new fangled. I hope you’ll find at least one or two new ones to make for those you love. This is a recipe that is always considered a treat at my house, met with the same zeal as a dessert even though it is just a bread. 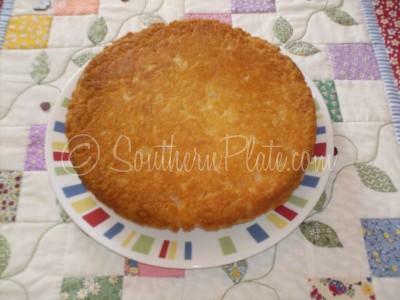 A variation on my Mama’s hoe cake, she often mixed up the same batter and made drop biscuits instead. This recipe is from friend and Southern Plate Family Member Terri. I have never had cornbread so moist in all of my born days. I feel certain that no small amount of my existance has been wasted up until tasting this. This is my personal roll recipe, that I serve whenever an occasion calls for them. I have GOT to remember to take a better photo next time I make these! This one is from three years ago, taken with my cell phone. 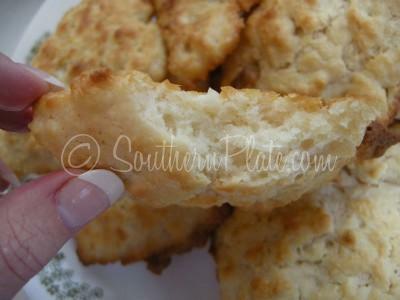 If you have had problems in the past with your biscuits turning out to be more like hockey pucks than our beloved southern staple, this recipe is the one for you. When you’ve got a family of rumbling stomachs and the meal about to go on the table these rolls come in handy. If you work fast, you can have them ready from start to finish in about ten minutes using ingredients you probably already have on hand. When I first posted these lots of folks said they served them with butter and honey. This bread is one of my dear favorites and I’d hate to think that some of you have never had it. It is among a list of recipes I love so much that I’d like to ask you to make them as a personal favor to me. My family’s hoe cake uses flour and produces a bread much like buttermilk biscuits in flavor only with a lighter and fluffier texture and crispy outsides. Seeded Yeast Rolls, Ready From Your Freezer Anytime! These rolls are absolutely delicious but my favorite part is the seeds. I LOVE wheaty bread with seeds inside, it’s my favorite. For this recipe, you can use what seeds you prefer or the combination I used. Everything is nicer when you customize it to your own tastes. ~My Grandmother, Lucille Pockrus, quoting my great grandmother, Lela Sanders. I am so hungry! We just love the Hoe Cake. I can’t wait to get home to try the ten minute rolls. I love your recipes!! Drop biscuits are a staple in my house. The best part of eating a hoecake of cornbread is crumbling it up in a glass pouring sweet milk over it the next morning! Yum!!! I absolutely love your hoe cake recipe! There were 12 kids in my family so we had to learn to cook at an early age. Ofcourse bread was one of the first things I learned to make. Biscuits, hoe cake, cornbread; fried,baked, it didn’t matter as long as it was bread! 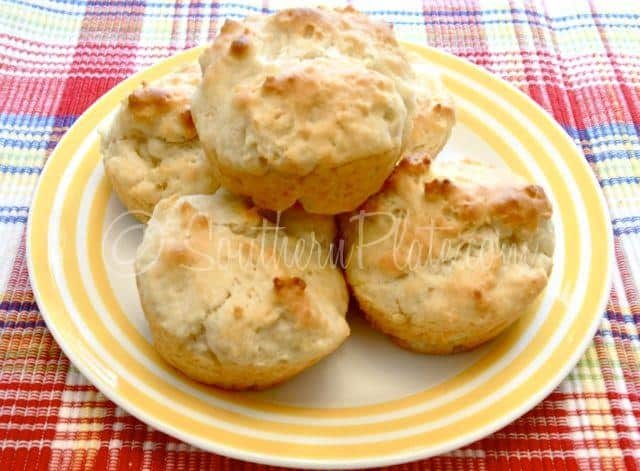 I love your buttermilk biscuit recipe also, yummy! I bought your cookbook and I love it! Love you, Debbie. Oh, Christy, I must admit I am so “bread challenged.” I consider myself a pretty darn good cook, but when it comes to anything where yeast or kneading is involved, I can always figure out a way to ruin it. 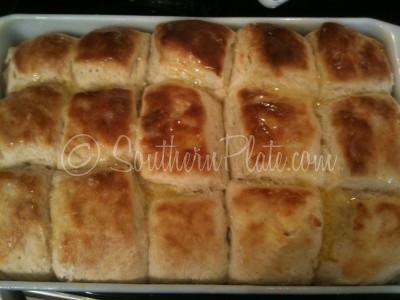 Last night, I even managed to mess up your simple buttermilk biscuit recipe. 🙁 The only way I seem to be able to make decent buiscuts is with bisquick and any other “homemade” bread has to go in the bread machine to come out properly. I was feeling defeated after the buscuits last night, but I am takinig your post today as a sign I should get back up on that horse and try again…thinking I will start with the hoecake. Thanks for generously sharing your recipes! Keep Trying! You can do it!!!! the secret to great biscuits is to NOT overwork the dough …my Mom’s recipe calls to knead the dough 9x that’s it! YUM! The hardest part about seeing all these bread recipes, is not making ALL of them, right now!!! I adore bread…~pass the butter please~ !! You’re “killin” me with these fabulous recipes!!! And they all look (and I’m sure taste) just like Mama’s!!! Can I use self rising flour if I don’t have regular flour? Your hoecake recipe is delicious! Recently, I asked my daughter if she wanted biscuits with our meal or hoecake. She looked at me in an exasperated way and said, “do you even need to ask that? !” She made the 10 minute rolls as part of her home ec. assignment and they turned out beautifully! Thanks for all the wonderful recipes! Your bread looks great. When I got married and started having babies, my mother told me to learn to make biscuits because they could go a long way to fill up a bunch of kids! Boy she was right. I love you cookbook, I checked it out from the library originally and kept it form 6 weeks until I could order my own copy. I then called my sister who lives in Alabama and asked if she had heard of you and she said no. I told her to go get your cookbook because it had all the recipes we already were making. She went to Wal-Mart and bought three copies for her daughters and daughter in law but she has decided she will have to buy one more for herself! I love homemade bread and your hoecake and drop biscuits are my go to quick and easy recipes. When I was a little girl, my daddy loved his biscuits “sopped” in cane syrup. Although I find that awfully sweet for my taste now, I ate plenty of biscuits that way “back in the day.” My favorite then and now, though, was/is hoe cake! Could eat my weight in it any day if I would allow myself the indulgence. I have got to try your Butter milk biscuit recipe, and the cornbread. I can’t wait. The biscuits look just like the ones my GrandMa made and I have never been able to replicate them. 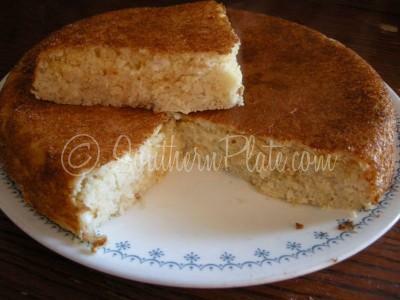 My cornbread is good but always too heavy tasting, so maybe this one will make the difference. I just love your recipes, and so does my family. Thanks Christy for sending these all together…I make an easy beer bread or rolls and my family loves them also unsweetened cornbread…also do variations making a fritter with smoked gouda greenonions and corn…it rocks…but will try thr rolls and seeded rolls…love you! I never could make good breads. Can’t wait to try. Love your format too. You can do it Alice! I have faith in you! Christy, I made the cornbread tonight, with some home made veggie soup I had in the freezor. OMGoodness, my kids loved it, I loved it and my husband who usually won’t touch cornbread, came in and got a big piece before the soup was even heated. I had let them all taste a little piece when it came out of the oven. I wound up having to make 2 cakes instead of one. I decided instead of having mine with the soup I would have some hot cornbread with milk. MMMMMgood! I have never had corn bread this light and moist. Yummy!!! I am so glad it turned out so good for you and that everyone loved it! Aren’t those the best kind of recipes?! I’ve made and LOVE the Hoe Cake, but I’ll have to try all the others as soon as I get home. We’ve been away for awhile getting some medical treatments for my DH, and are leaving for home next week. Looking forward to cooking again, and these will all get tried soon. Thanks for these recipes! Bread is my weakness! 🙂 I will definitely be trying these recipes! So i have made the Dixie Cornbread more than once and OMG it is awesome. It was in fact the first time I ever made homemade from scratch cast iron skillet cornbread, my hubby was so impressed 🙂 needless to say there is never any leftovers. Christy, I love Southern Plate! All the recipes remind me of my grandmothers wonderful dishes she just to cook! Can you tell me the name of the recipe book you were reading when you got the recipe for Dixie Cornbread? 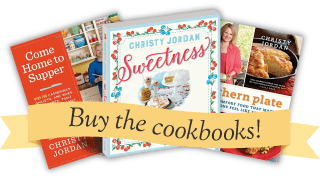 Keep those good old Southern recipes coming!!! Going to try your Jordan Rolls….they look great! Hello to everyone, I am looking for a bread recipe called by different names. My grandmother made it all the time and I have lost my copy. It is called Angel Bread or Company Bread. You make it in one bowl and just pour it into pans and bake. Gramma made it all the time and it was loved by us all. She always made it for company so we would have enough to go around. Made your jordon rolls for Easter dinner.they were fabulous! My husband ate half dozen at supper! 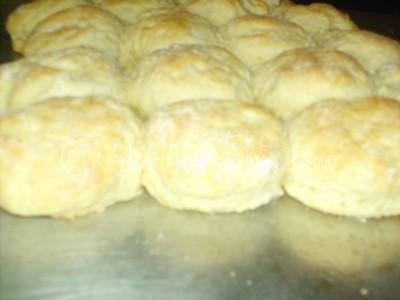 Your buttermilk biscuits are good too! I love all the stories you tell too . Thanks so much! Thank you so much for this recipe! This southern boy was gettin mighty tired of biscuits. This is going to be perfect with my chicken fried chicken dinner! Thanks for sharing Christy! God bless. May God bless you too Gary!! I’ve never been good at bread (except for eating it) but I’m going to give the Jordan Rolls a try-they look great! Can’t wait to try them all!!! Thanks! !